This time, charging is welcome! 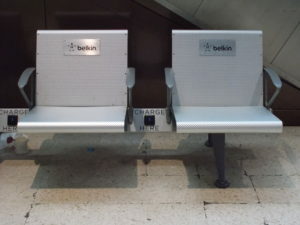 During one recent journey I spotted these seats at Waterloo (Main) station. They incorporate charging points for phones and other devices. This is a very welcome innovation – especially if there are delays. Hopefully they’ll be introduced on key Southeastern stations as well? Our Bat & Ball correspondent, Keith Alderman, has now retired. However, when Thameslink allow him, he’s making good use of his Senior Railcard! National Rail Enquiries admit error – and give vouchers! An update on National Rail Enquiries issue that I mentioned last month concerning the off-peak fare of £24.55 being valid on the 09.21 departure from Bat & Ball to Harwich International arriving at 12.17. National Rail Customer Services have confirmed that there was inconsistency of the information displayed when I was searching for the trains departing and arriving for the times I wanted to travel; and they are working to get this issue rectified on their website. They kindly gave me Rail Vouchers to the value of £10, as a gesture of goodwill and for the inaccurate information I received. That’s a good response from National Rail; it would be good to see similar responses from other train company customer service departments! When I collected some Advance Purchase tickets at Bat & Ball recently a rail replacement bus service stopped outside the station. The display screen on the front of the bus showed a graphic of a steam locomotive and the following text; “Rail replacement bus, I am a train, choo choo”! On the same day I noticed that the information screen at the entrance to Bat & Ball station was displaying the rail replacement bus departure times and where to board them. It also advised that the buses were on time. Are the buses current locations tracked using GPS? (Southeastern £36.50, Thameslink £28.50, South West Railway £12.40, Southern £1.10, Virgin £25.69). One claim outstanding, one under dispute about amount paid. This month’s delays: total 110 minutes, Southeastern 101, Thameslink 9. Southeastern do not always Advance! a journey to and from Norwich, with first class travel between Liverpool Street and Norwich in both directions via Blackfriars at £35.60 is cheaper than a standard class return ticket via Sevenoaks £42.25! a return standard class journey from Bat & Ball to Derby, via Blackfriars is £31.70, whereas the same journey via Sevenoaks is £82.70. In both examples, arrival times at the destination, and departure times from the destination are the same!. 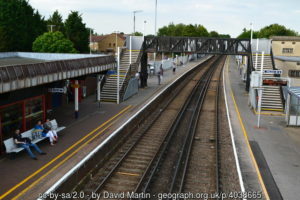 Similarly, journeys commencing at Sevenoaks with the same arrival times at the destination, and departure times from the destination are not offering Advance Purchase ticket fares, even via Bat & Ball. Are Southeastern trying to direct people away from their services if they want to travel on cheap Advance Purchase tickets?